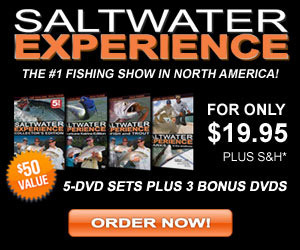 Saltwater Experience the #1 Fishing Show in America! From Louisiana to Key West, this action packed 2-disc set includes 11 thrilling episodes. Tournament winning duo Tom Rowland and Rich Tudor reveal the strategies that helped them win more than 200 tournament titles including the ESPN Great Outdoor Games and IGFA Inshore Championships. Learn how to hook Redfish, Snook, Tarpon, Hammerhead Sharks, Tailing Bonefish and more! fisherman-even as the evidence of complete destruction is still apparent in the desolate background. Found throughout the Gulf Coast and up the Atlantic Seaboard, Redfish and Trout are two of the most popular inshore gamefish around. Now you can join Tom Rowland and Rich Tudor as they travel to Louisiana, the epicenter of Redfish and Trout country. You will learn new fishing techniques that will help you catch the biggest Redfish and Trout of your life! 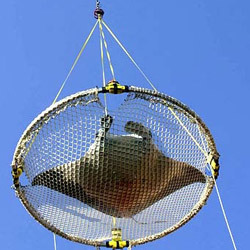 Sharks are the most exhilarating and dangerous gamefish in the world. What could be more exciting than fishing for them in shallow, clear water with ultra light tackle and fly rods? Join Tom Rowland and Rich Tudor as they prowl the shallow waters surrounding the beautiful Florida Keys in search of the biggest, baddest, deadliest sharks in the ocean.